Expressing the sense of the Congress in support of protecting patients' access to medically appropriate, evidence-based healthcare and information, and the ethical and professional obligations of healthcare professionals to provide that care and information. Recognizing the impacts of climate change on outdoor recreation and supporting policies that address the causes and effects of climate change. To prohibit the sale or distribution of tobacco products to individuals under the age of 21. To repeal the rules issued by the Department of the Treasury, the Department of Labor, and the Department of Health and Human Services entitled "Religious Exemptions and Accommodations for Coverage of Certain Preventive Services Under the Affordable Care Act" and "Moral Exemptions and Accommodations for Coverage of Certain Preventive Services Under the Affordable Care Act". To amend title XVIII of the Social Security Act in order to strengthen rules in case of competition for diabetic testing strips, and for other purposes. To amend titles XI and XIX of the Social Security Act to establish a comprehensive and nationwide system to evaluate the quality of care provided to beneficiaries of Medicaid and the Children's Health Insurance Program and to provide incentives for voluntary quality improvement. 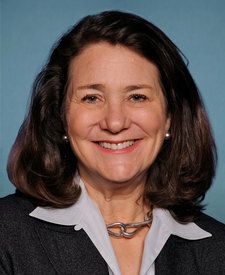 To amend the Energy Policy and Conservation Act to exclude power supply circuits, drivers, and devices designed to be connected to, and power, light-emitting diodes or organic light-emitting diodes providing illumination from energy conservation standards for external power supplies, and for other purposes.